HeartCry Missionary Society > Jose Luis Siancas: "I Love This Work"
Jose Luis Siancas: "I Love This Work"
God always provides open doors to do His work in His way, in His timing, and for His glory. This month He gave me the opportunity to preach for a group of 100 young people in an event hosted by another church in the city of Paita. Many of them are Christians, and had invited their non-Christians friends to come. The pastors of the church asked me to teach on true revival. I preached from Habakuk 3:2, where the prophet pleads with God to bring revival to His people. It’s clear in that passage that revival is not something that can be produced or created by man—it can’t be brought about by great music, or by the shouts of people in the congregation, or by the mere number of people present. This passage makes clear that true revival comes from the Lord as people hear His word, and it results in fearing His name.Often, the way the Bible describes the evidences of true revival in our heart is much different than what men and women have in mind. I had read an article by Dr. Martyn Lloyd Jones entitled, “The Characteristics of Revival,” and I used a lot of his material in my teaching. I spoke about the conviction of sin as a primary mark of true revival, and then called the young people to repentance and faith in Christ. They were very attentive during the teachings, and afterwards it was evident that they understood what had been taught. Every time I teach the Scriptures, I believe that someone is going to be impacted by the grace of God. It’s always a blessing to me to be able to share Gods word with the next generation of men and women. I remember being captivated by the teaching of the Bible from the time I was just nine years old. One of the things that I see in the majority of the young people is their lack of maturity and understanding of the Scriptures. 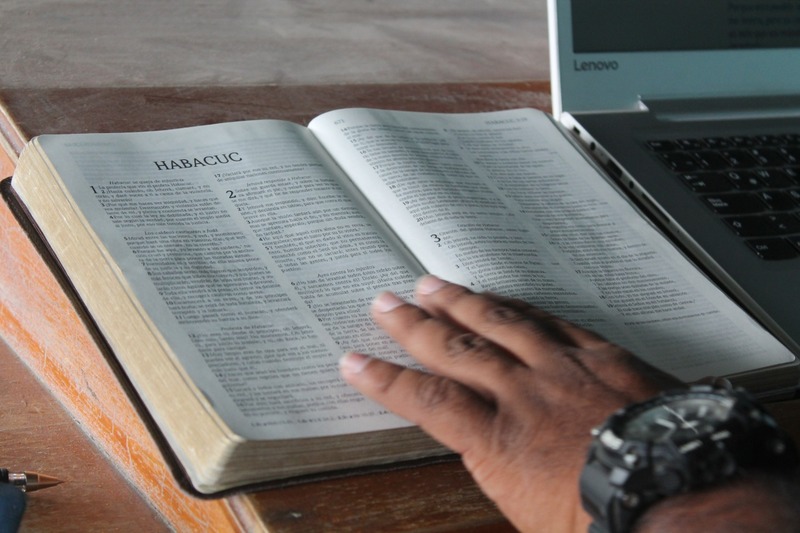 This is a serious problem, because if we don’t have a deep knowledge of the Scriptures, we can’t think biblically about God or the world, and we end up erring in many things. My prayer for these young people is that they not only make the effort to be present in events like this one, but that they really devote themselves to be instructed by the Scriptures. On July 21, I had the opportunity to preach at the first Sunday meeting in the new building in Las Palmeras, where our church has sent Jonathan Siancas as a church planter. Las Palmeras is a place that is perhaps forgotten by many, but God has sent us there to preach the gospel. It’s not a central part of the city, which means it doesn’t have the most basic public services like water, sewage, or electricity. It’s known mainly for its poverty and makeshift houses. I’ve been very encouraged to see the way God has responded to our prayers for Las Palmeras, and how the church has responded to the opportunity. 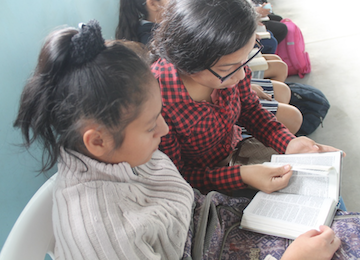 We’ve always prayed for two things: that the Lord would give us a church in Las Palmeras and that He would use us in a great way to serve that ministry. We have seen God answer that prayer. First, He granted us land and a building to worship and proclaim His word. Second He placed an evangelistic passion in the hearts of many of the members of our church to speak out publicly about Christ. And third, He has allowed us to serve beyond the confines of our local church in Mallaritos and has made us a part of this new church plant. The responsibility of the members of the church has grown, and many of us are also growing through these new responsibilities. Many in our church are committed to going every week to evangelize, visit homes in the community, and attend the church services. This has helped me and blessed me to see how the brothers and sisters are excelling in their love for God and for our neighbors. Even though the church building is not yet complete, we still had the inaugural service in an area outside the main building, with two big tarps hanging over us to limit the intensity of the sun. There were a lot of children—probably more than 200—and around 70 adults that we’d invited. Most of the adults were parents of the children and for many, this was the first time they had ever been in a church service or had heard the preaching of God’s word. 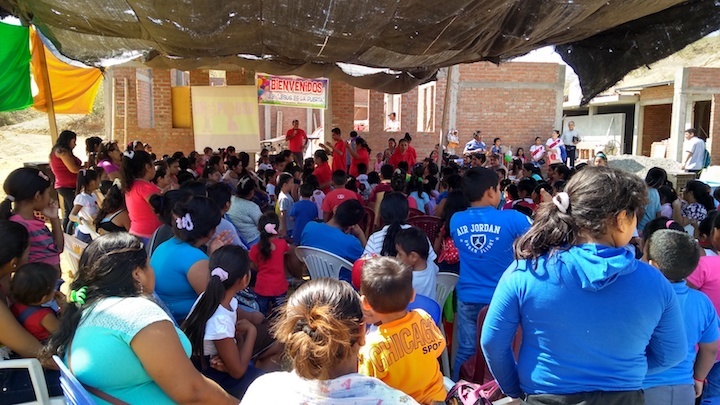 It was a great opportunity to reach the parents and the children with the gospel. I preached that day on Isaiah 46:9, showing that God is always triumphant, ruling over kings and armies. From the passage I showed that God is both all-powerful and completely sovereign. We cannot fight against God and win; we can only submit to His Kingdom through faith and repentance toward Christ. It’s my prayer that none of them would be mere casual listeners, but that all would become true disciples of Christ that are committed to serving Him. Please pray for the salvation of these children and their parents. In this new work, as always in the ministry, there have also been a number of difficulties. Still, I can say that in each of them we are interpreting them in the light of the Scriptures, and we count them as joy. We know this type of thing is going to be present on the mission field and we’ve entrusted it to the Lord. Recently, in Las Palmeras a family began to oppose us and wanted to stain the testimony of our church. Members of this family publicly attacked the past life of some of the brothers and sisters in our church—and they weren’t lying in the things that they said. But now, these believers are new creatures; the Lord has changed them. As a pastor, I have had to encourage my brothers and sisters in Christ in this truth and teach them again that these types of oppositions and obstacles are part of the work of evangelism. But, at the same time, I have wanted to deal in the right way with our opponents and show them that we are men and women of peace and that we are in the community to help and serve. In our work to present Christ there are some who have not wanted to hear, but this doesn’t discourage us. The Apostle Paul said, “I endure all things for the sake of those who are chosen.” Our adversities are not to the same degree as Paul’s, but when they come, we know that God will give us grace to endure them. Finally, I want to tell you that my ministerial work is growing, and that as it does, God is also answering my prayer and giving me more co-servants. He is raising up men in our church that have been a great support in the ministry. Beloved brothers and sisters, I love this work. I love to see God moving powerfully in a place like this. For the love of His Bride, He sends us there with the preaching of the gospel. 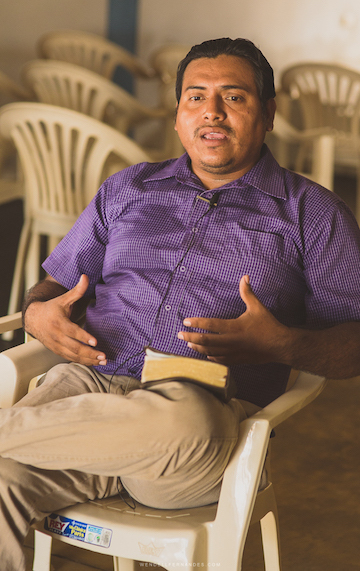 HeartCry’s support for this new church building has been foundational, and our prayer is that God would use it to firmly establish the new church plant in Las Palmeras.